char·ac·ter ac·tor: /ˈker(ə)ktər ˈaktər/ noun 1. an actor who specializes in playing eccentric or unusual people rather than leading roles. Lynch was Marge Gunderson’s doting husband in the original film version of Fargo. He played Drew Carey’s cross-dressing brother on The Drew Carey Show. He was a doomed survivor in one of the classic episodes of The Walking Dead. He was the warden on Shutter Island. He was the main suspect in Zodiac. He was a barber in Gran Torino. He was an angry dad in Crazy, Stupid, Love. He played both the murderous Twisty the Clown and serial killer John Wayne Gacy on American Horror Story. And many, many more. Just in this past year, he played President Lyndon Baines Johnson opposite Natalie Portman in Jackie, one of the beleaguered McDonald brothers in The Founder, a pastor in Miracles from Heaven, relived the Revolutionary war in Turn: Washington’s Spies, reprised his role of Twisty on the new series of American Horror Story: Cult and is in the brand-new season of the Syfy Channel show Channel Zero. And he has a new comedy series coming soon called Crawford. With that kind of work schedule, you wouldn’t expect the Boulder, Colorado-born actor to have time on his hands to do other things. However, Lynch has been interested for quite a while in directing a film. When the opportunity came up for him to step behind the camera, he jumped at it. 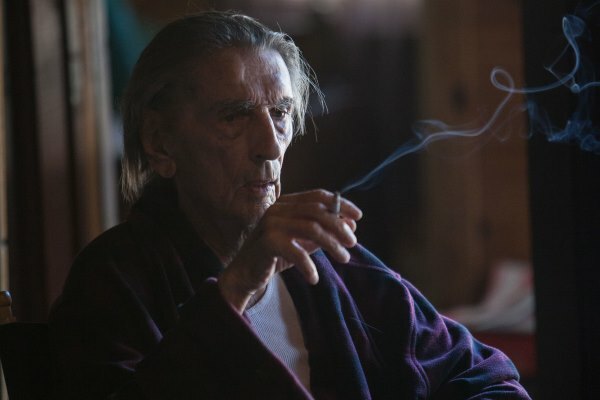 It’s even more fitting, because the film Lucky was created as a final showcase for one of the great character actors in Hollywood history, Harry Dean Stanton. Stanton had an acting career which spanned over 60 years, during which he gained the reputation of one of the coolest men in Hollywood. Over the years, he played in such beloved films and TV series as Kelly’s Heroes, Two-Lane Blacktop, Gunsmoke, Pat Garrett & Billy the Kid, Where the Lilies Bloom, The Godfather Part II, Farewell My Lovely, Alien, The Rose, Private Benjamin, Escape from New York, Repo Man, Paris Texas, Red Dawn, Pretty in Pink, The Last Temptation of Christ, Wild at Heart, Twin Peaks and many, many, many more. 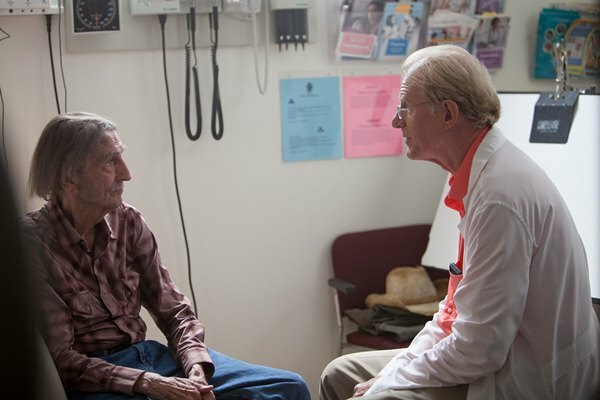 Stanton was 90 when he started filming Lucky, which was his first leading role since playing third lead in David Lynch’s The Straight Story in 1999. Sadly, Stanton died mere weeks before the film was set to premiere. In fact, it is a sad fact that Stanton was not even able to see his Hollywood swan song. However, like the old saying goes, Stanton did not have to see the movie, he lived it. Of course, Lucky is not a biographical film, but it was written by his friends Logan Sparks and Drago Sumonja and inspired by its star. However, in his final interview, which Stanton shared with director Lynch as well as Lucky co-star David Lynch [the famous director, who is no relationship to John Carroll Lynch], Stanton insisted that Lucky was not his story. However, the character is a totally different being. Part of the art of Lucky was taking aspects of Stanton’s life and working them into a completely new story. However, even for such a legendary actor, it was a bit of a daunting task. 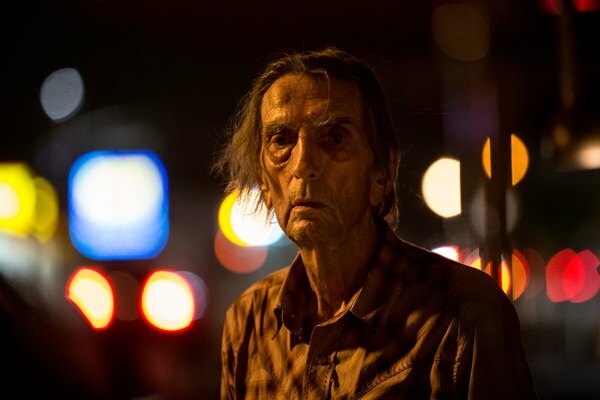 Lucky rises and falls on Harry Dean Stanton’s performance, a performance which was eliciting praise and buzz even before the actor’s death. As a first-time director, Lynch had to capture that. Looking back, Lynch acknowledges that it was an experience to work with the actor. Still Lynch understood. Stanton was an older man, and this was the first time a film relied on him in years. It turned out that Stanton was completely up for the challenge. As a long-time actor, who has worked with such legendary directors as The Coen Brothers, Martin Scorsese, Clint Eastwood, and David Fincher, it perhaps no surprise that Lynch would be intrigued by the artform. However, Lynch said it was more elemental to him, part of the same gene that made him want to be an actor, the fact that he is a storyteller at heart. Therefore, Lynch realized that just because he couldn’t perform the stories, that doesn’t mean that he can’t make them. Interestingly, Lynch’s voyage to Lucky started as an actor. Of course, Lynch’s acting career has been a journey of diversity as well. He has done comedy, drama, horror, action, the sky’s the limit. This wide range of characters has always fascinated him. However, what doesn’t kill you makes you stronger. Lynch has always felt this adventurousness was necessary to acting, and now to directing. As an actor, Lynch has followed a long and winding road himself. In fact, it is probably a tribute to his craft that certain people recognize him for certain roles. The Founder is the story of how McDonald’s billionaire Ray Kroc stole the business from the McDonald brothers, who first started the restaurants. Lynch played the younger brother who believed in Kroc, until he ruthlessly took over the company, eventually putting the brothers out of business just for spite. Speaking of erasing and eradicating, at the time of this interview, IT was the number one movie in the US. And while Lynch was not personally involved in that film, he does have a unique perspective on a specific question, having played Twisty the Clown now on two seasons of American Horror Story. So, what exactly is it about clowns that makes them scary? Still, Lynch does feel a little culpability in the bad rap that clowns get from people in general. After all, in general they are trying to give you a little song, a little dance, a little seltzer down the pants. What’s so wrong with that? Which is rather likely, as American Horror Story has a long history of bringing back actors they like over and over in different (and sometimes the same) roles. Lynch is just glad to be a part of the AHS repertory, and would be happy to continue with them. 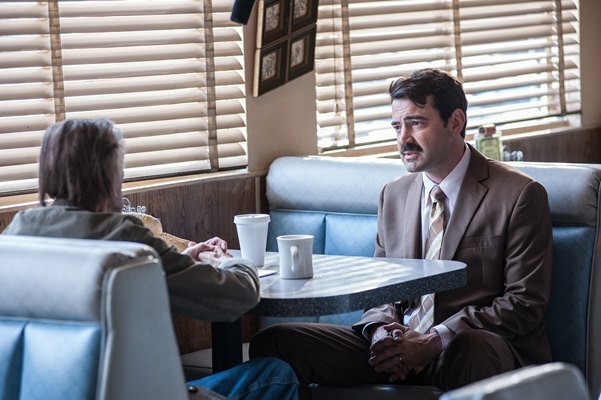 Lynch also played Eastman, a survivor whose meeting with Morgan (Lennie James) – one of the main characters on The Walking Dead – was recounted in the fan-favorite 2015 episode “Here’s Not Here.” Even though it was planned as a one-time thing, people still recognize him from the role. Also, of course, Lynch has the release of Lucky to worry about. And he has dipped his toe into the follow-up. 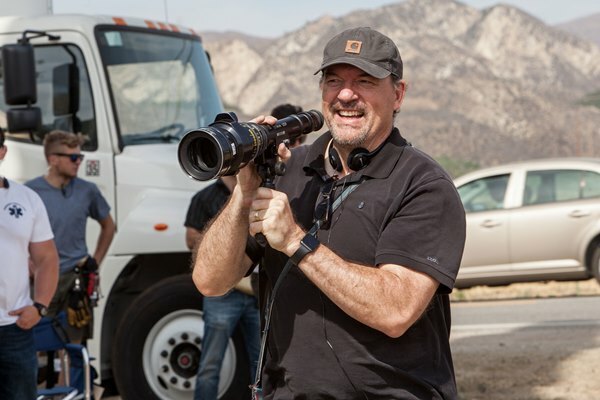 “I absolutely have started thinking about [a second directing job]. I’m working with a few friends of mine who are all wonderful writers, on a couple of things. I’m trying to use the Robert Altman advice of ‘Producing is kind of like cooking. Keep things on the stove and then one starts to boil,’” he laughed. Right now, Lucky is at a full-on boil. 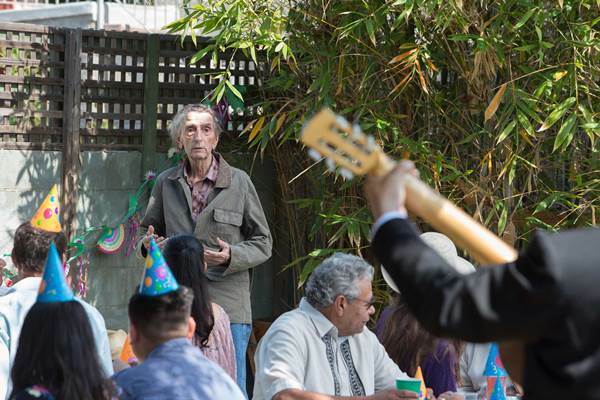 As it is being released, staggered weekly through cities around the country, it is getting the kind of critical acclaim that an established director would crave. Of course, as pointed out earlier, Lynch has worked with some of the greats, so it is no shock that he would pick some things up. However, he is quick to point out that there is only so much you can learn as an actor on set. “The opportunity to follow people who have broken the story down into its commensurate parts and asked the question, ‘What belongs in the frame, and what doesn’t?’… I’ve seen each of them tackle their material,” Lynch explained. “These are masters of their craft. The ‘how’ of doing it is no longer really what they are after anymore. They are after the ‘why’ of it. Of course, it couldn’t hurt having an established director on the set. 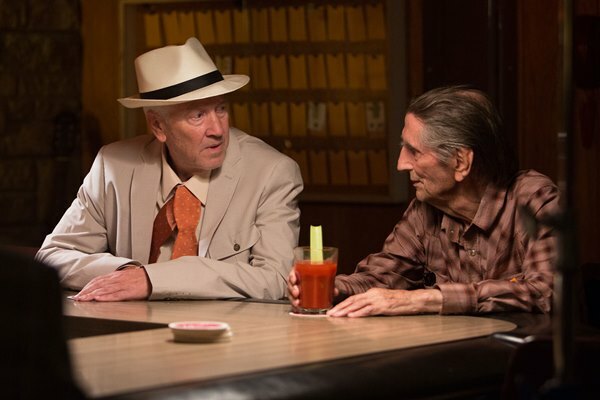 David Lynch played one of the townspeople in Lucky’s hometown. Still, as a first-time director, it must have been a little intimidating trying to direct one of the most acclaimed and eccentric directors in film. However, John Carroll Lynch said David Lynch was not a problem on set at all. He just came in and did his job as an actor. The rest of the cast was an interesting, quirky mix, too. Among the actors who went out of their way to be in this small film were a very varied group which included Tom Skerritt, Ron Livingston, Ed Begley Jr., James Darren, Barry Shabaka Henley, Beth Grant, and several others. “Everybody in the movie, they came for Harry, first and foremost,” Lynch said. “They came to play with Harry. I would describe it as Rolodex casting. Everybody came from one phone call. That’s what we needed, we couldn’t wait to go about it in any other way. The amazing part was how we got a lot of yesses, even when the picture, the time and the schedule was locked. Because of David’s schedule, key people fell out because of that. The hometown of Lucky is also a character of the film, of sorts, and it turns out that the rustic backwater was so evocative for a reason. After all, Lucky is sort of an anomaly in modern Hollywood. It’s certainly not a big, bright, slick blockbuster wannabe. 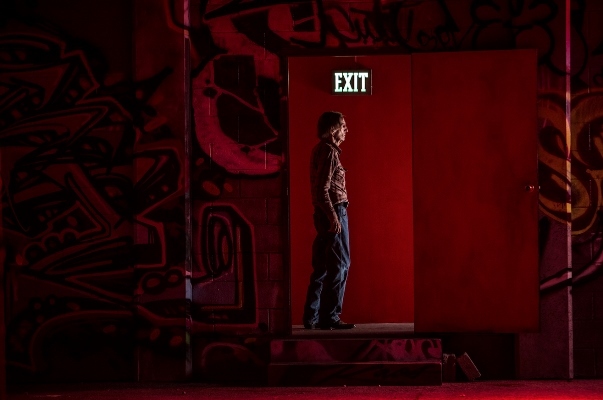 Lucky has more of a personal, artistic feel to its tale. Lynch is right. Lucky is a uniquely American film. 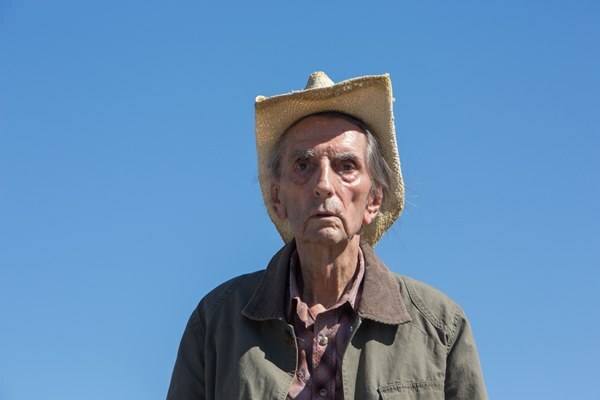 As unique as its star, Harry Dean Stanton. And it’s a wonderful way for the man to say farewell after spending so much time as a part of our lives. Copyright ©2017 PopEntertainment.com. All rights reserved. Posted: October 6, 2017. Photos © 2017. Courtesy of Magnolia Pictures. All rights reserved. Tags: Alien, American Horror Story, Boulder, California, Channel Zero, Colorado, Crawford, cult, David Lynch, Drago Sumonja, Escape from New York, Farewell My Lovely, Fargo, Freak Show, Gran Torino, Gunsmoke, Harry Dean Stanton, hotel, Jackie, Jay S. Jacobs, Jim Jarmusch, John Carroll Lynch, John Ford, John Wayne Gacy, Kelly’s Heroes, Logan Sparks, Lucky, Lyndon B. Johnson, Miracles From Heaven, Paris Texas, Pat Garrett & Billy the Kid, Piru, pretty in pink, Private Benjamin, Red Dawn, Repo Man, Shutter Island, The Drew Carey Show, The Founder, The Godfather Part II, The Last Picture Show, The Last Temptation of Christ, The Rose, The Straight Story, the walking dead, Twin Peaks, Twisty the Clown, Two-Lane Blacktop, Where the Lilies Bloom, Wild at Heart, Wim Wenders, Zodiac. Bookmark the permalink. As a movie fan, I can say that I was surprised at this sleeper. Its not over the top exciting so I was surprised in that it was still interesting enough to hold my attention. Furthermore, to other fans of movies, I’d like to point out that you may have read the original 1970’s book titled “The Onion Field” by a (now) retired Los Angeles Police Officer. It was later made into a 1980’s book by the same title name. The topic was about two real life LAPD Officers kidnapped at gunpoint in the 1960’s by two ex-cons and driven out to the then sparsely populated agricultural areas just north of “The Grapevine” on highway 5 where one was murdered and the other escaped. The title of the book was simply reflecting that the murder scene was in an onion field of the day… ( Orange Groves in today’s world). So what does this have to do with the movie “Lucky?” Well, in the photos above and in the movie itself you can see in the distance where that old onion field & murder scene are located. The murder scene was just north of “The Grapevine” on highway 5 and on the west side of the highway. About 15 minutes drive down the road from Piru, CA, where “Lucky” was mostly filmed. That is a famous piece of history. And the reason I know of its location even though it was not in the book… was because some retired LAPD officers video recorded a YouTube excursion of themselves seeking it out. They used old police files and prosecution record…. I’m going to stop and visit both Piru, CA, and that old onion field next time I’m through that area. The two killers of that cop, by the way, were captured… one died in prison decades later… the other died as a drug addict in skid row Los Angeles after repeat re-peat arrests.